Savvy consumers are always looking for the options that best fit their needs, so may be interested in this comparison of the noise-canceling function of the over-ear Bose QC-15 versus the in-ear Bose QC-20. Testing was performed using a G.R.A.S. 43AG ear/cheek simulator, a laptop computer running TrueRTA software and an M-Audio MobilePre USB audio interface. Both the Bose QC-15 and Bose QC-20 were measured using the right audio channel. The frequencies employed for the test ranged from 20 Hz to 20 kHz, which is the common output for most audio devices on the market. Levels below 75 dB indicate attenuation of outside noise (i.e., 65 dB on the chart means a -10 dB reduction in outside sounds at that sound frequency). The isolation curve of the Bose QC-15 is shown in a green trace, while the Bose QC-20 is shown in the purple trace. So as you look at the graphic, understand that the lower the line on the chart, the better the noise-canceling for the particular frequency band. When it comes to the "jet engine band" between about 80 Hz and 300 Hz, the Bose QC-20 is clearly superior – as much as 23 dB better – to the QC-15. This means that the in-ear design of the Bose QC-20 is far more effective at mitigating deep droning/humming noises, such as those coming from airliner engines. This frequency range also covers the lower end of normal human speech (male voices in particular), which can make the Bose QC-20 ideal for those who would want to block out nearby conversations. 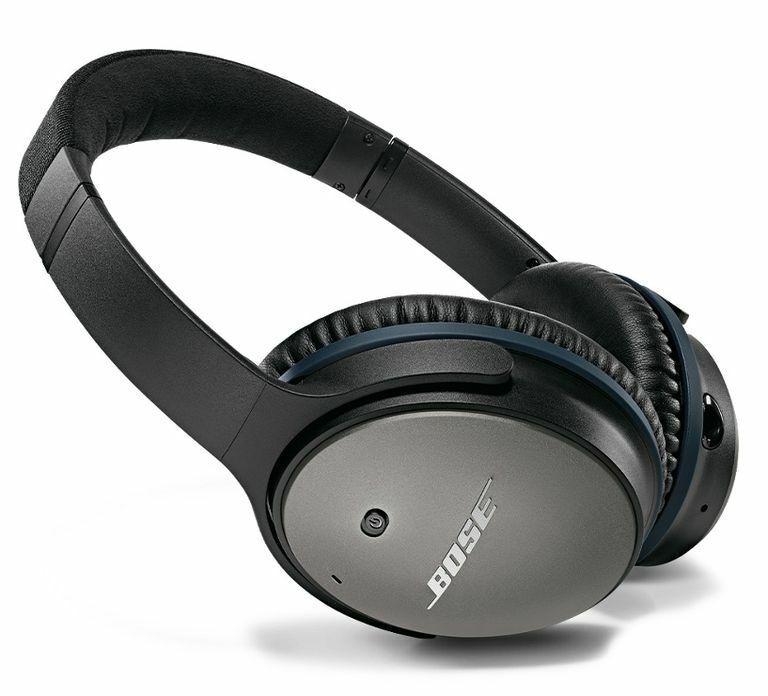 However, the over-ear Bose QC-15 outperforms the QC-20 at frequencies between 300-800 Hz and higher than 2 kHz. This suggests that the Bose QC-15 is far more capable of quieting higher-pitch sounds, such as the types of hissing that emanate from heating or air conditioning systems on airplanes. These frequency ranges also covers the middle and upper ends of human speech, although much above 2 kHz might be along the lines of people (e.g. small children) singing or dogs yapping. Choosing between the Bose QC-20 and QC-15 may depend on style/portability preference (in-ear versus over-ear) as well as where one plans to use them. It can be tough to say which one will do a better job of cutting out the music and background chatter at Starbucks, at least from only looking at the measurements.